Across the street from the beach in Playas del Coco (only 150 meters), at Coco beach north end, the nicest part of the beach, and a short walk from the village's main street. 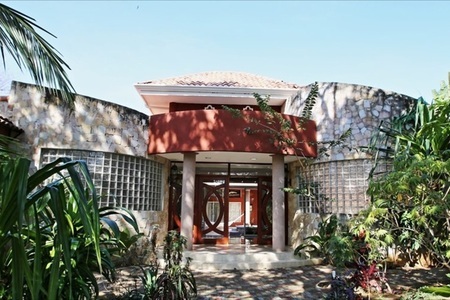 Large property of 4,550m2 with a 2 story villa of 7 bedrooms and 6 fully equipped 1 bedroom apartments, a large swimming pool, a secondary house, beautiful landscaping, warehouse. Space for expansion. 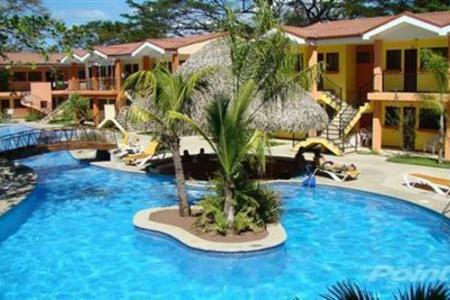 Playas del Coco is one of the more well known beach towns in the country for both locals and tourists, full of nightlife and activities to do such as scuba diving, sport fishing, and snorkeling along with many bars and restaurants. 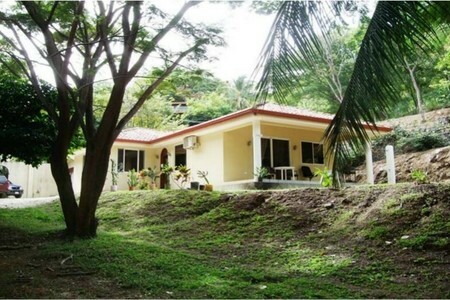 •	Located at only 25 minutes from Liberia international airport. 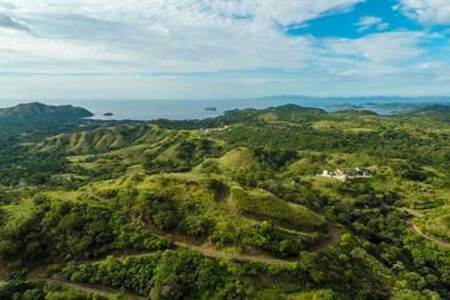 •	This gorgeous property has 4550m2, which is a little over 1 Acre / almost half hectare, plenty of space for expansion! 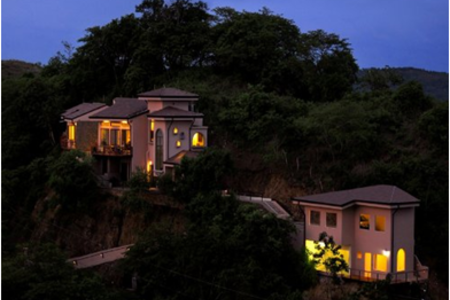 •	Currently the 7 bedroom villa is been used as a bed and breakfast, and the 6 studios for vacation rentals. 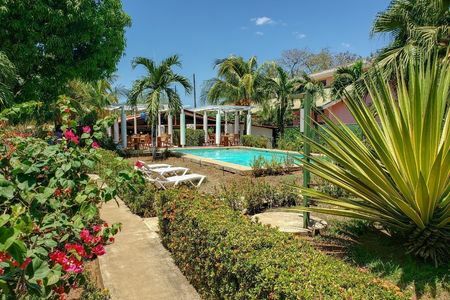 •	Large and beautiful tropical gardens and private parking. • The entire property is fenced in. •	Easy access by paved roads to all services. About the 7 bed 8 bath villa: Is a two story building, kitchen, two living rooms and an atrium in the center of the house. 300m2 / 3228 sq. ft. construction. Concrete construction, tile floor, and natural woods ceilings. Upstairs: Four bedrooms, four bathrooms, a living room. Downstairs: Kitchen, storage area, open dining and living area, 3 bedrooms and 4 bathrooms. Attractively furnished living / dining room area is adjacent to a large atrium that keeps the house fresh and comfortable at all times. 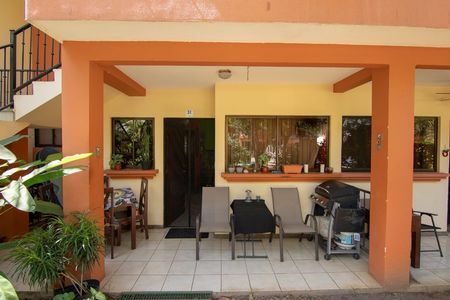 Large balcony amid tropical gardens offers beautiful sunsets. 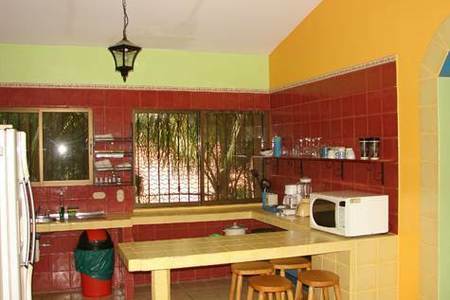 The 6 fully equipped studios have a size each of 34m2 / 365 sq. ft. plus terraces. 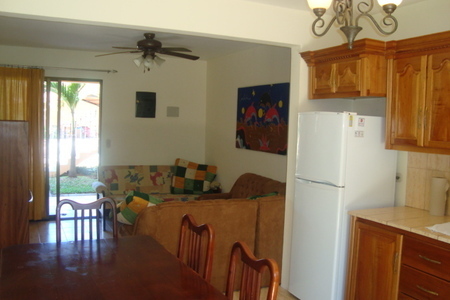 All rooms are tastefully decorated, have large windows, private bathroom, AC in every room, ceiling fans. 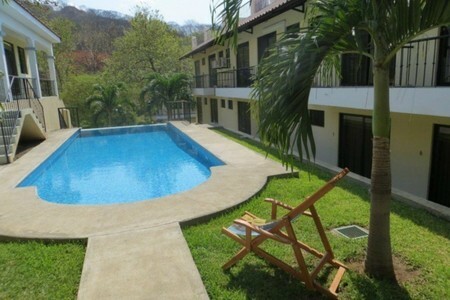 • A custom designed swimming pool and a large covered BBQ area provide cool enjoyment. 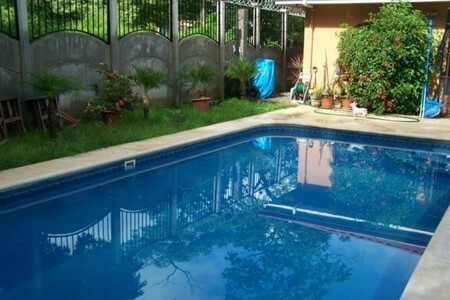 • 16'X32' swimming pool with a large BBQ covered area. • Deep well with drinkable water for more independence and lower water bill. • In operation for 20 years with hotel permit.